How did I not know about this... what a great resource! Did mine last summer with a bike lift rated to 600Kg (engine/gearbox). I did not have clearance to remove, but worked out I could remove intake once dropped and pull out the engine. I remove the full exhaust system prior to drop to reduce weight and stability. This actually freed a lot of space to work on the engine whilst under the car. Hello! Sorry if off topic, I do not know where to post this question. On my journey, I lost a set with tools for cars, I bought them so long ago that I don’t remember where exactly. I choose from these options https://wisepick.org/best-mechanics-tool-sets/, can you recommend which one will be more universal? we're mostly UK based and the tools sets available here are a bit different. 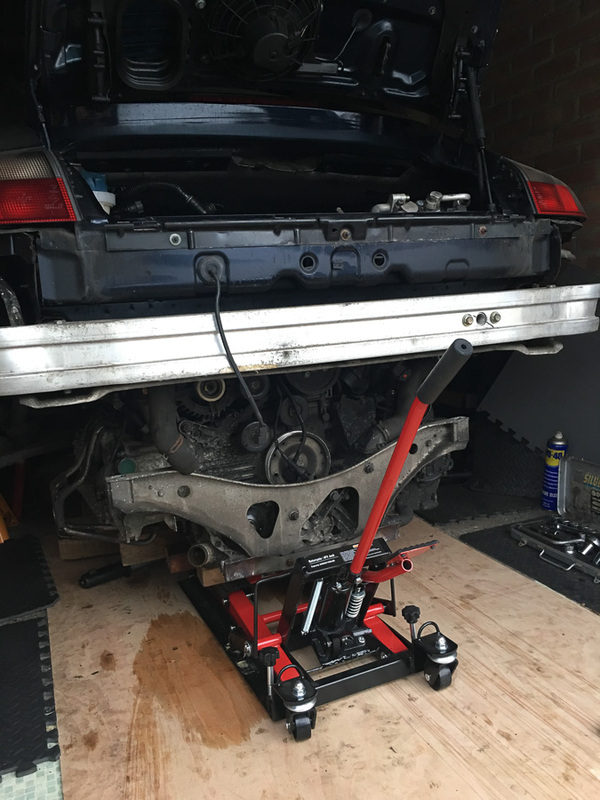 Buy 'flat drive sockets' and 3/8 are generally the most useful size although 1/2 help for tight nuts and bolts. Unless you're a pro mechanic, any decent make will be ok. Look for ratchets with fine "clicks"
You'll need a decent torque wrench too. Don't buy cheap spanners, pliers or screwdrivers but again, any reputable brand will probably be ok.
Big sets may not be the best value, start by listing what you think you'll need. Online can be very good value but you don't get change to 'feel' the tools first. You'll need a few special tools too, sets don't come with things like circlip pliers, oil filter wrenches, torx drivers and sockets etc. You'll probably also find you need odd items like long or stubby screwdrivers, unusual length spanners etc, get them when you need them.